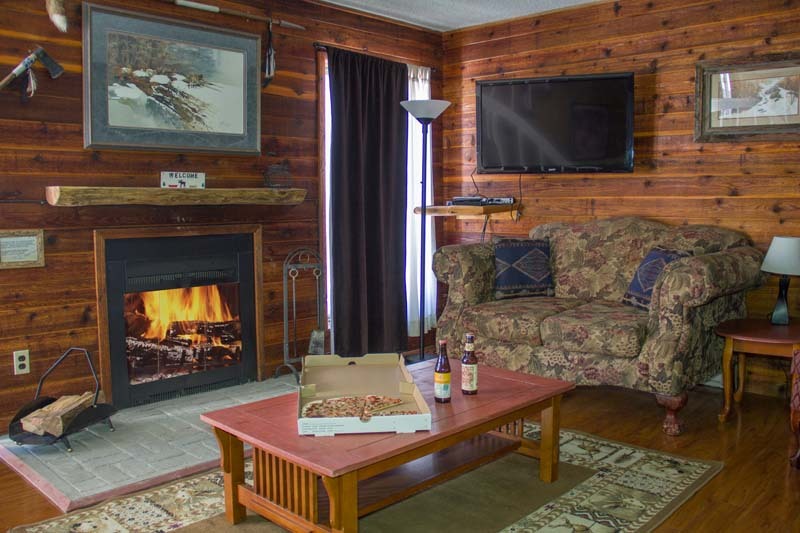 We offer a wide-range of year-round accommodations for as many as 1 person all the way to 35+. 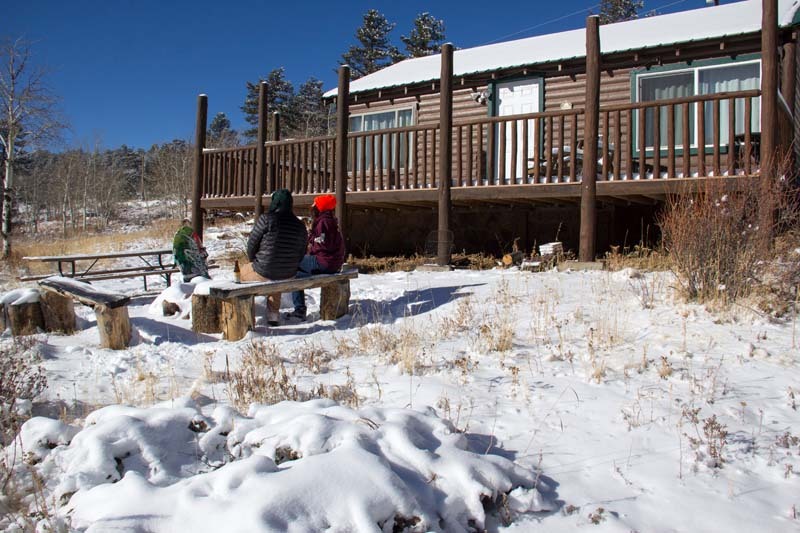 You can make reservations any time online, call us during business hours at 970-881-2450, or explore our site to learn more about Lodging, Camping, and Winter Camping. Which accommodation is right for you? Prices below range from minimum occupancy during value season to full occupancy of maximum adults during summer/holiday season. 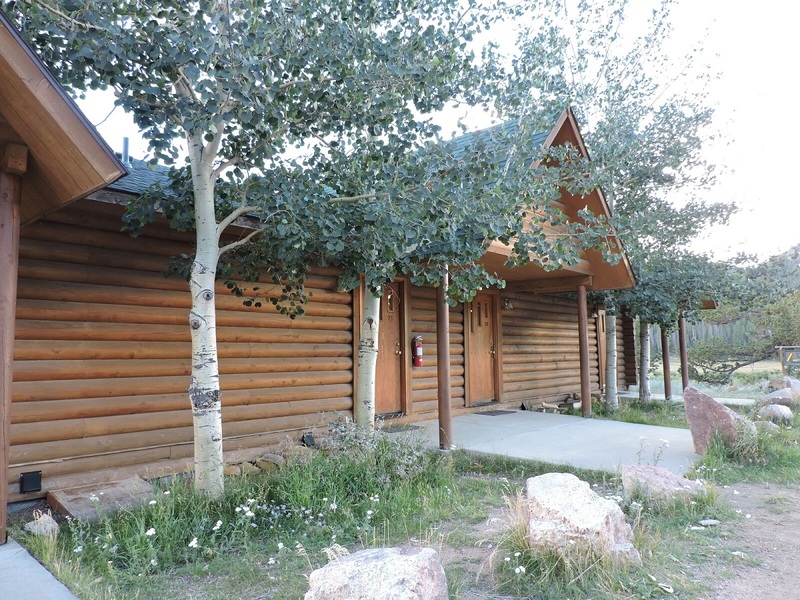 The Lynx Lodge Rooms at Beaver Meadows Resort Ranch are located just to the west of the Ranch House Restaurant overlooking the Pavilion and Crossing Ceremony Site. 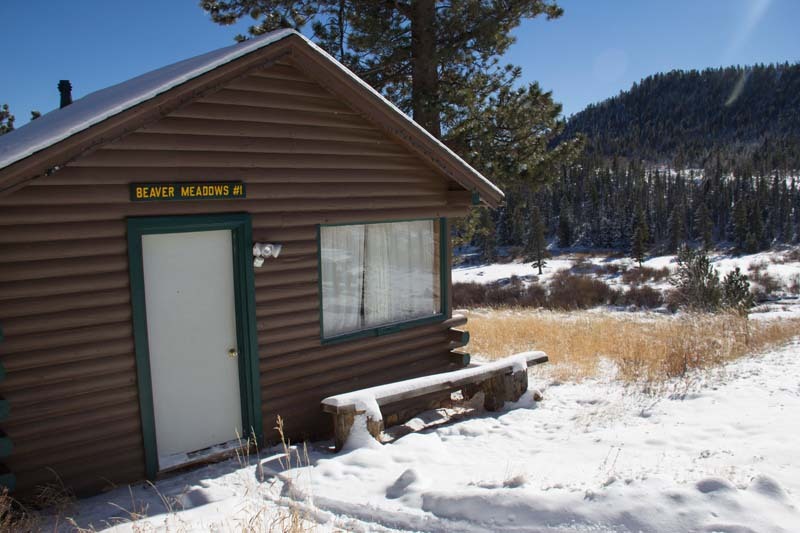 There is immediate access to The River Trail and Memory Park from the Lodge. 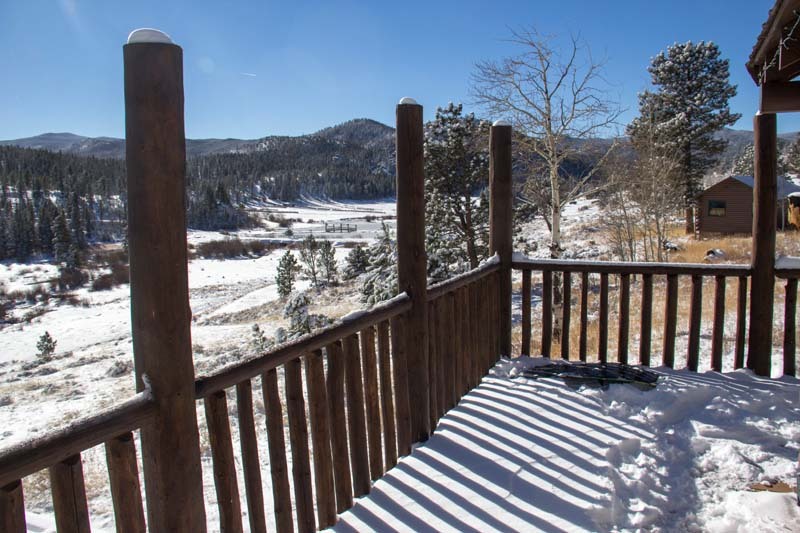 Enjoy views of the River Valley, Meadows and Snow Tube Park. 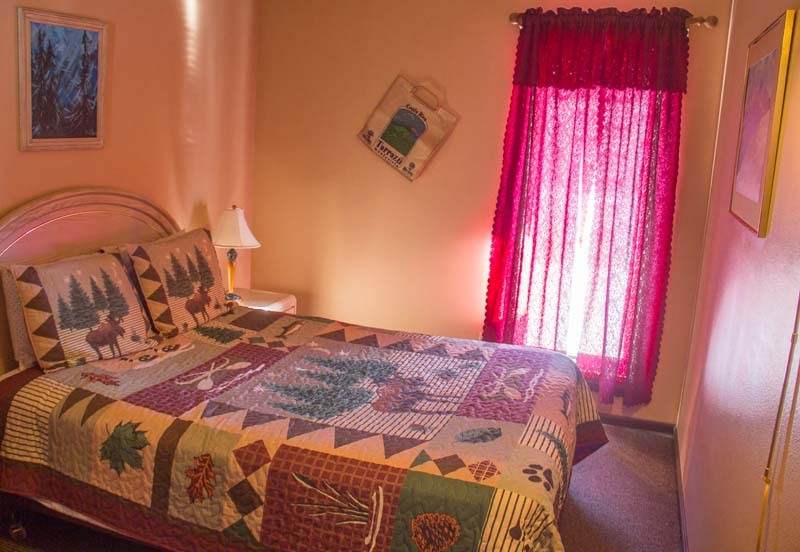 Lower Lodge Room: (Maximum Occupancy 6) – Patio Entrance, Each room has One Queen bed, and either One additional Queen bed or Queen futon -or- Two Queen Futons, ¾ Bath, Microwave, Mini Refrigerator, Coffee Maker Satellite TV. 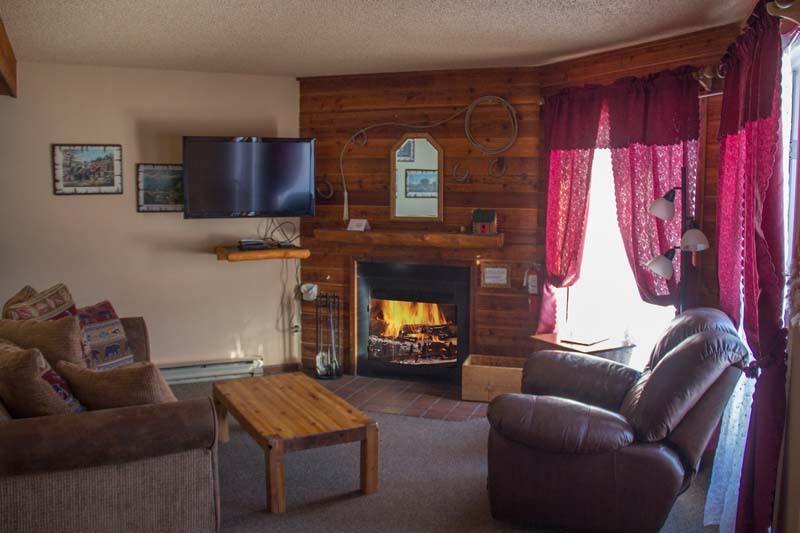 Upper Lodge Room: (Maximum Occupancy 4) – Upper level parking entrance, meadow views, One Queen bed and One Queen futon, ¾ Bath, Wood Burning or Electric Fireplace, Deck, Microwave, Mini Refrigerator, Coffee Maker, Satellite TV. 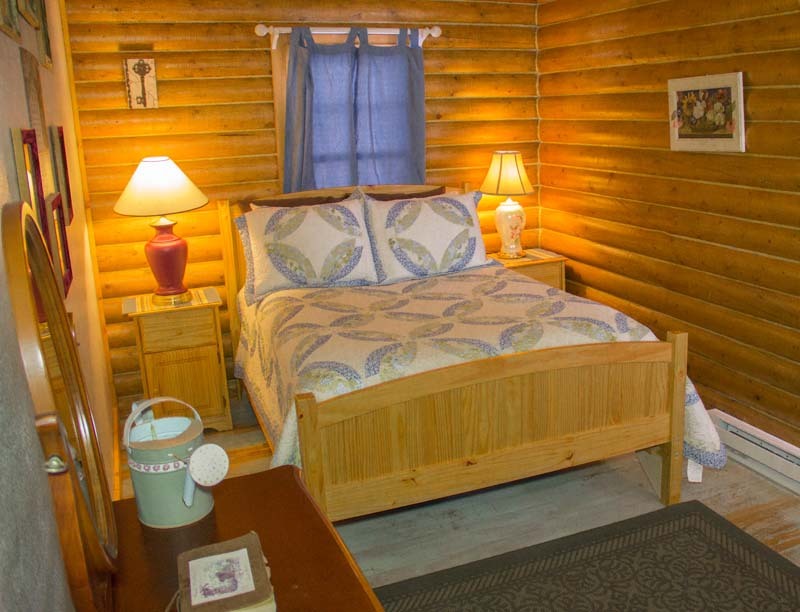 The Log Cottages at Beaver Meadows Resort Ranch were built in the 1950’s with locally milled logs. 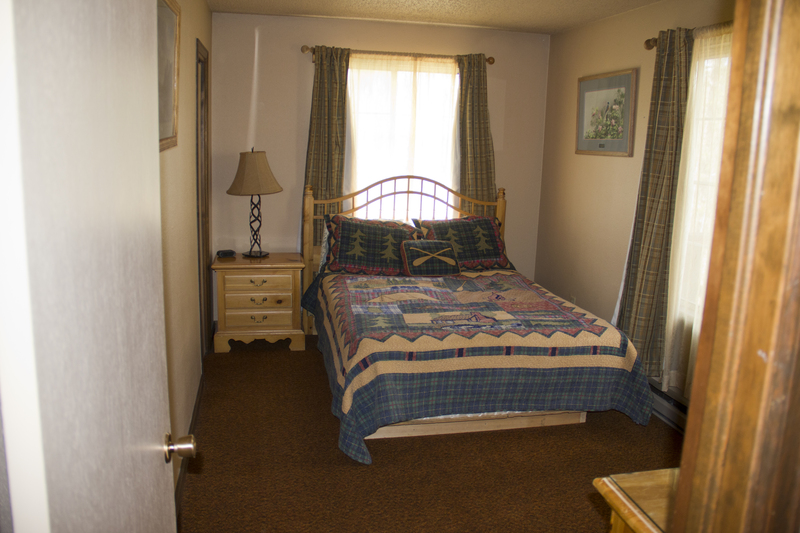 They offer some seclusion while still within walking distance to the Resort Base Area. 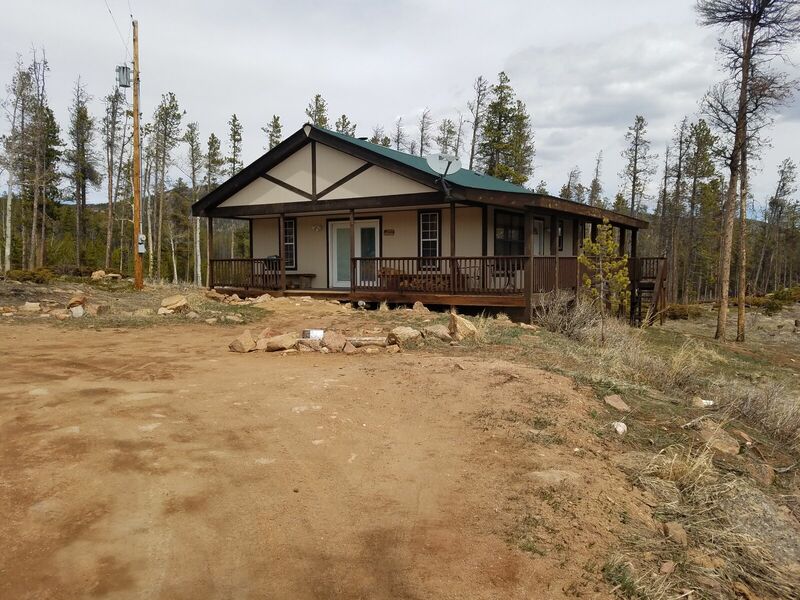 The Log Cottages overlook the North Fork of the Cache La Poudre River Valley. 10% surcharge for singe night. 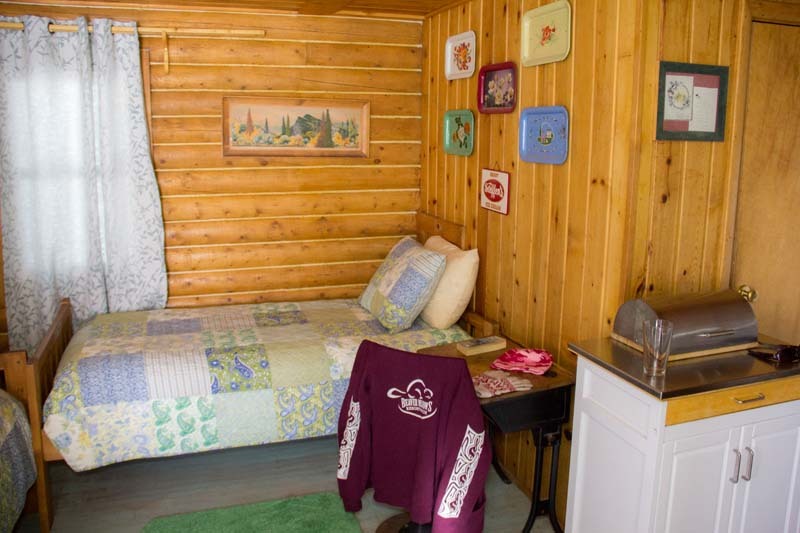 Beaver One Log Cottage: (Maximum Occupancy 4) Studio Cabin located .2 miles northeast from the base area. 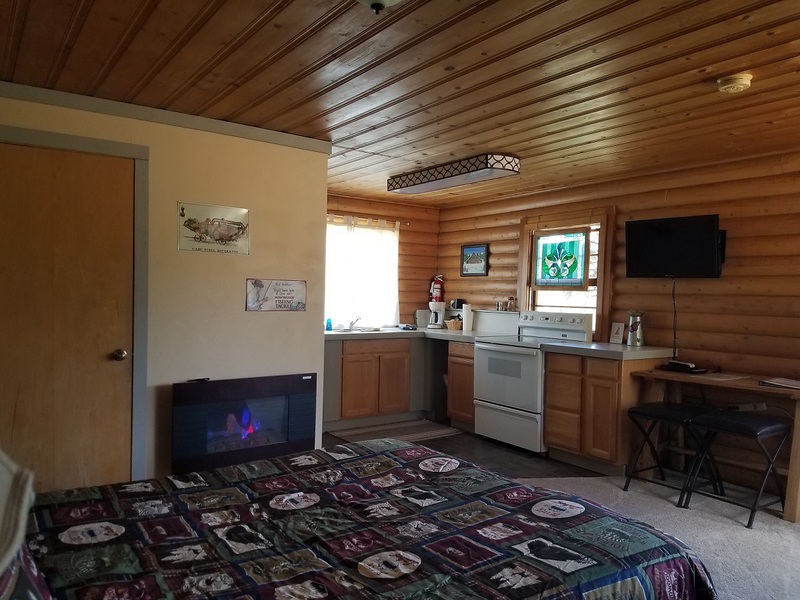 One Queen Bed, One Queen Futon, Full Bath, Kitchenette with Four Burner Range Top and Mini Oven, Mini Refrigerator, Coffee Maker, Satellite TV, Picnic Table and Outdoor fire Pit. 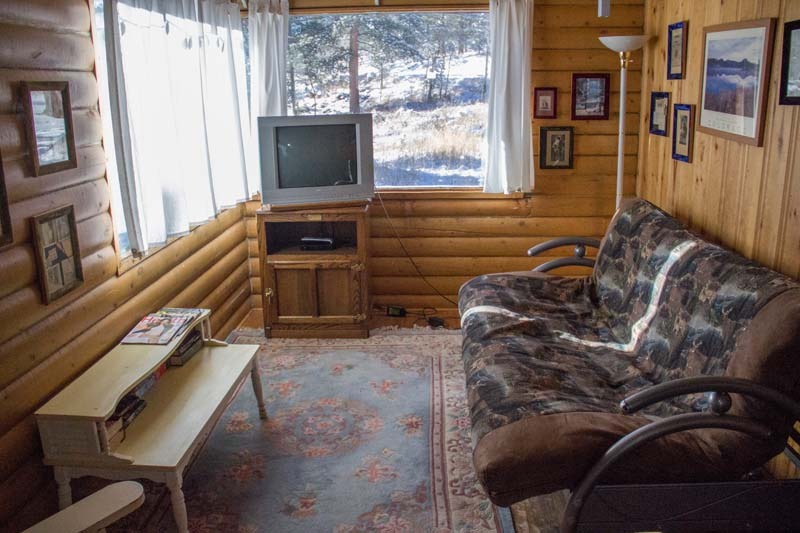 Beaver Two Log Cottage: (Maximum Occupancy 4) –One Bedroom Cabin located .25 miles northeast from the base area. 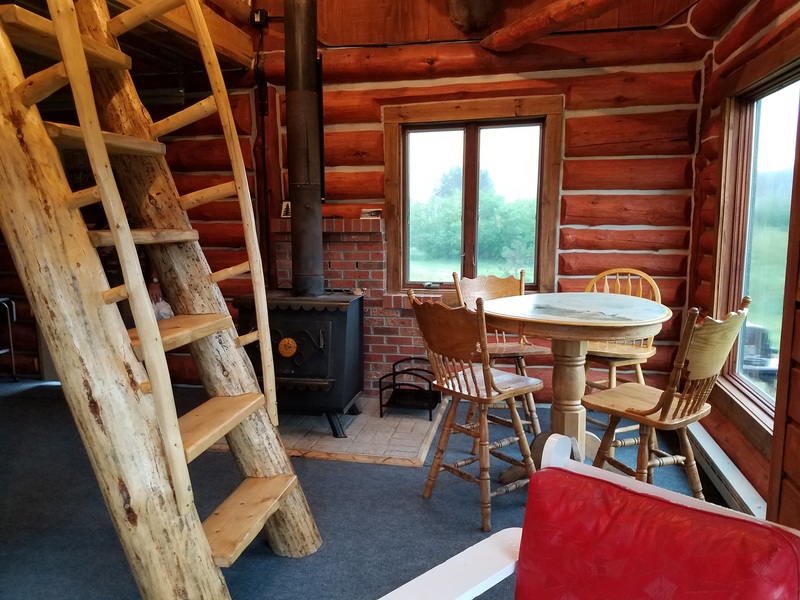 One Queen Bed, 2 single day beds, Full Bath, Living Room, Deck, Kitchenette with Four Burner Range Top and Oven, Mini Refrigerator, Coffee Maker, Electric Fireplace, Satellite TV, Picnic Table and Outdoor Fire Pit. 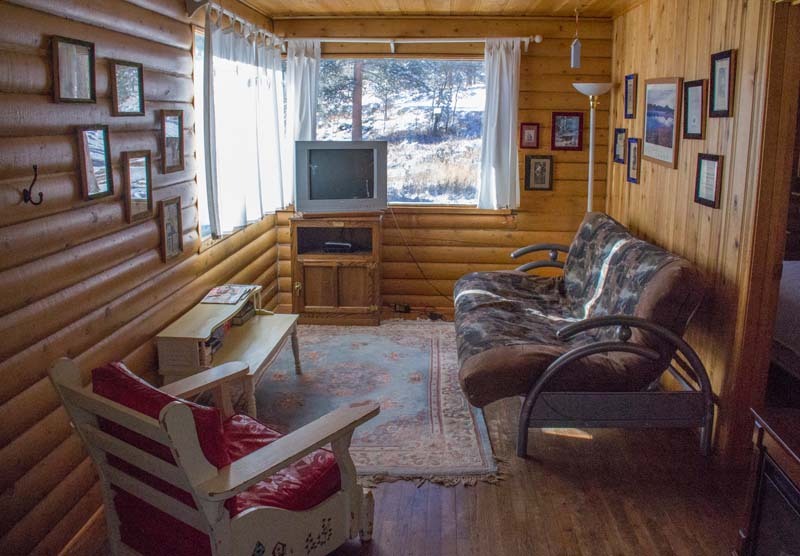 Beaver Three Log Cottage: (Maximum Occupancy 6) – Two Bedroom Cabin located .3 miles northeast from the base area of the Resort Ranch. 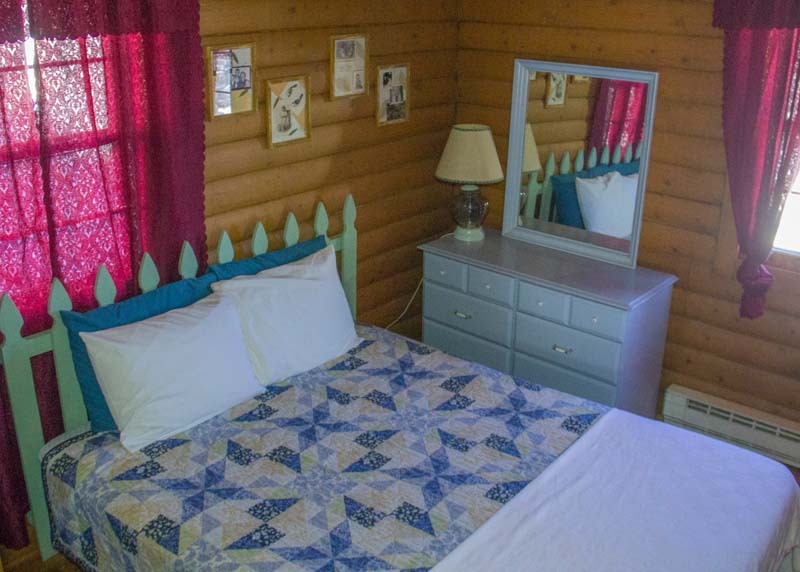 One Queen Bed in each Bedroom, One Queen Futon in Living Room, Full Bath, Full Kitchen, Picnic Table and Outdoor fire pit. 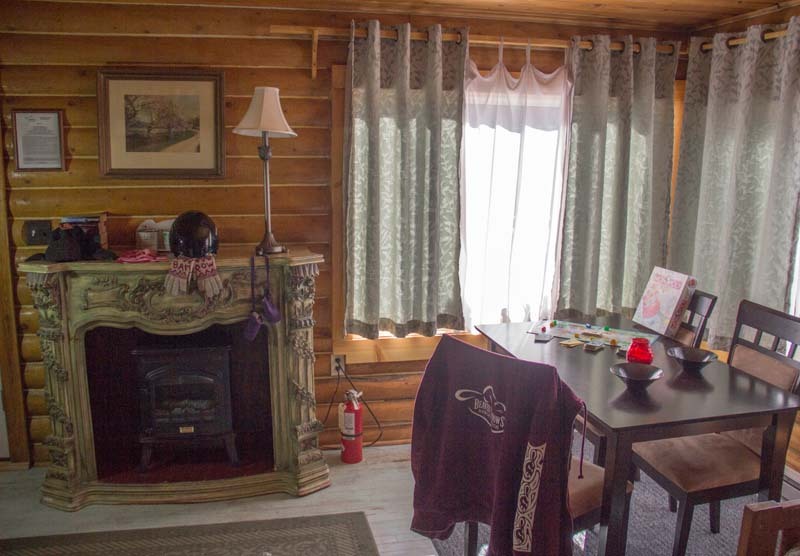 Our camper cabins are Rustic Cabins with Wood Burning Stoves. Potable Water available at Base Area of Resort. 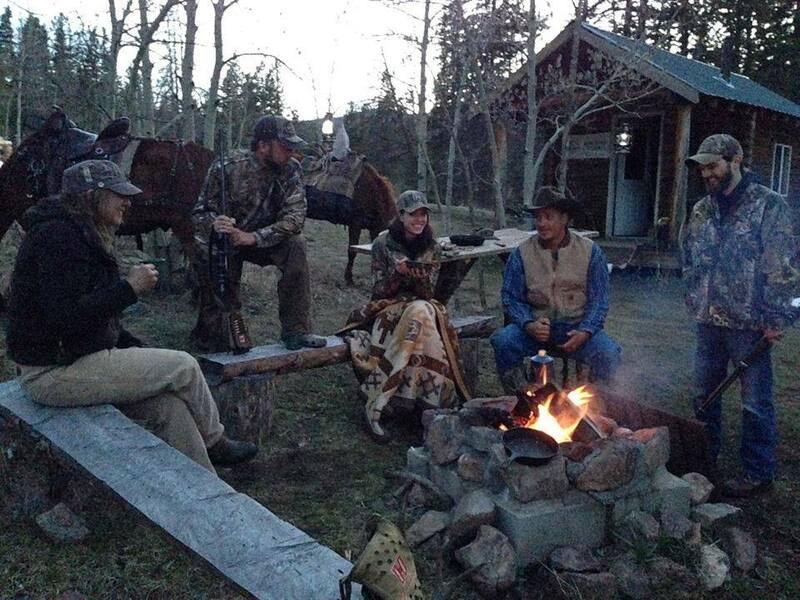 GUESTS MUST BRING their own cookware, and sleeping bags or bedding. 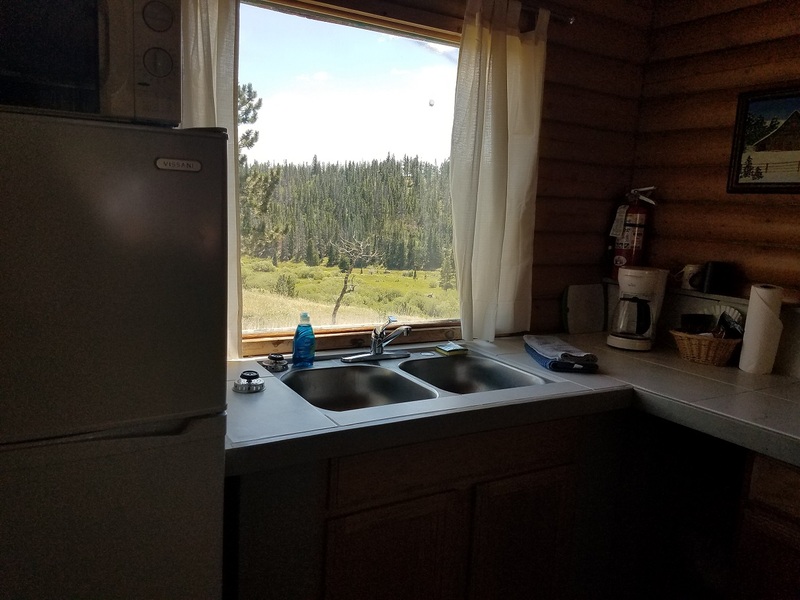 No Electric or Running Water, Picnic Table and Outdoor Fire Pit. 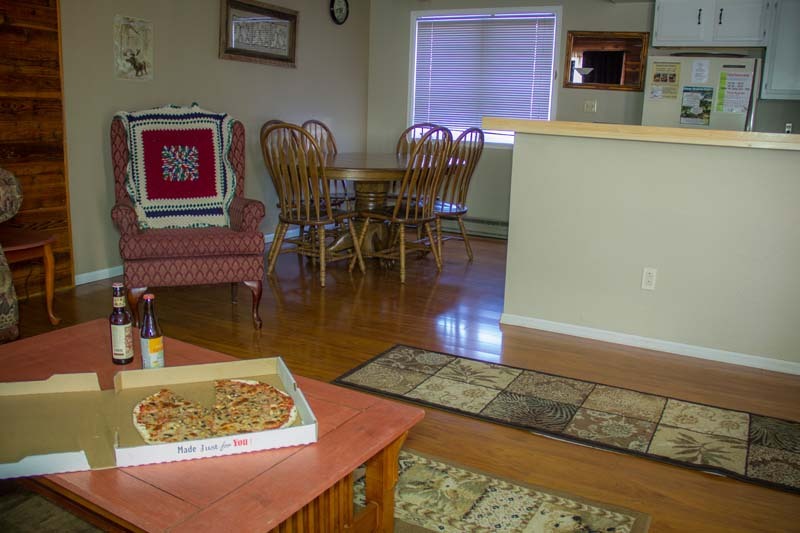 Buddy’s Cave: (Maximum Occupancy 6+) Located 300 yards from the restaurant and restrooms. 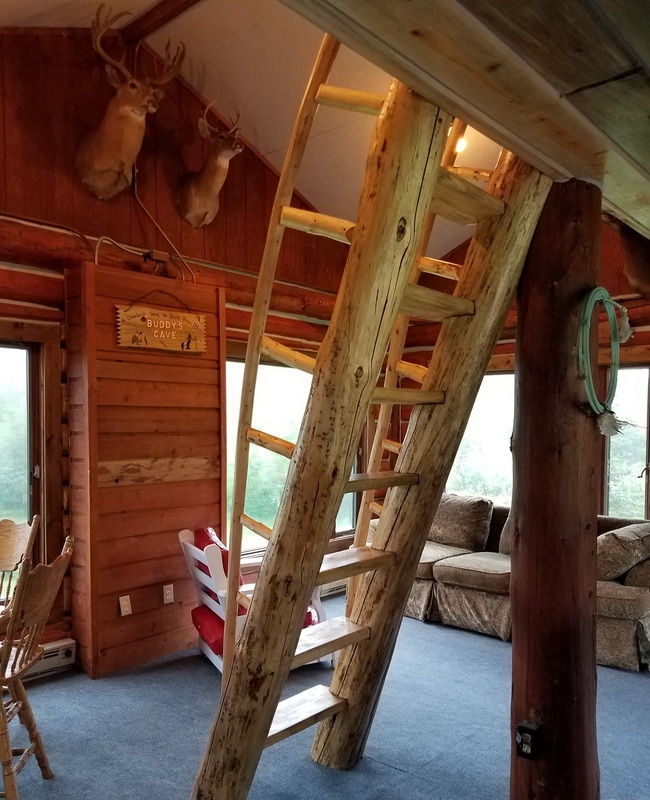 Constructed form hand peeled logs from our property, it’s large windows look out over the river and meadow.his is an ideal group camping spot with a garage door, a loft and plenty of space for tents. 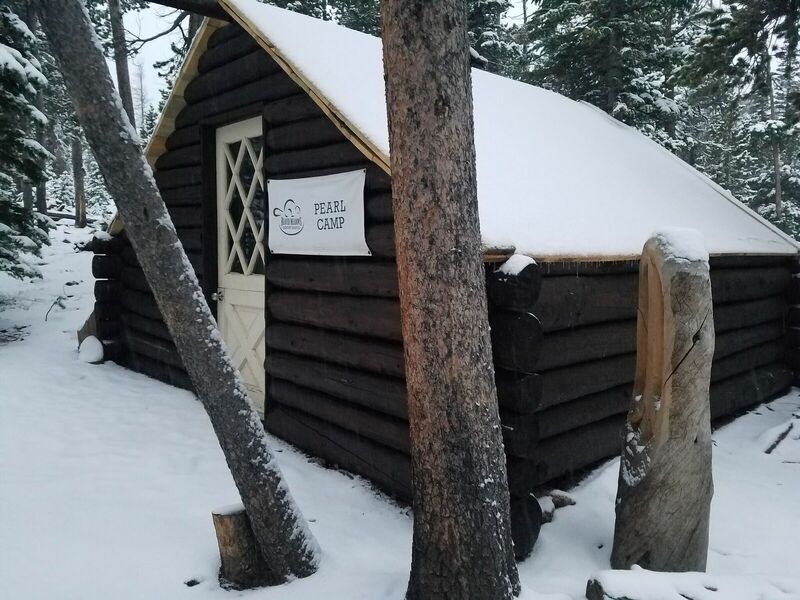 Buckskin Camper Cabin: (Maximum Occupancy 4) Located in our Campground this Cabin is Milled from Property Harvested Trees, Hand Peeled Logs with Log Cabin Craftsmanship. 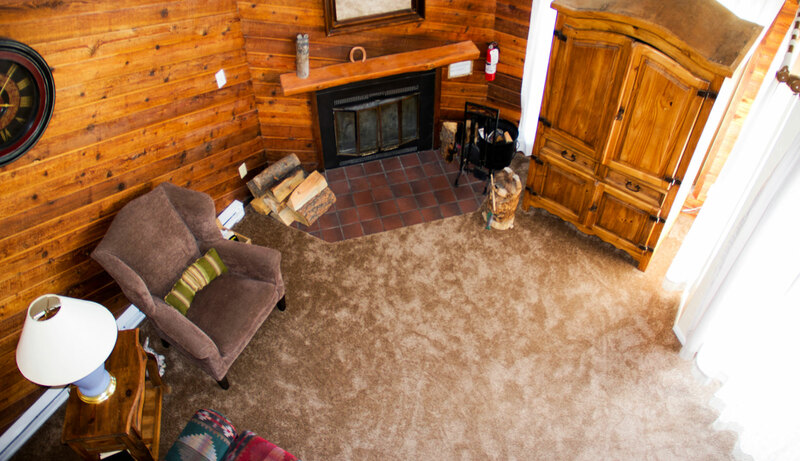 Sand Floor with Carpet Overlay, Wood Burning Stove, Canvas Roof, Queen Futon, Dining Table and Rocking Chairs. 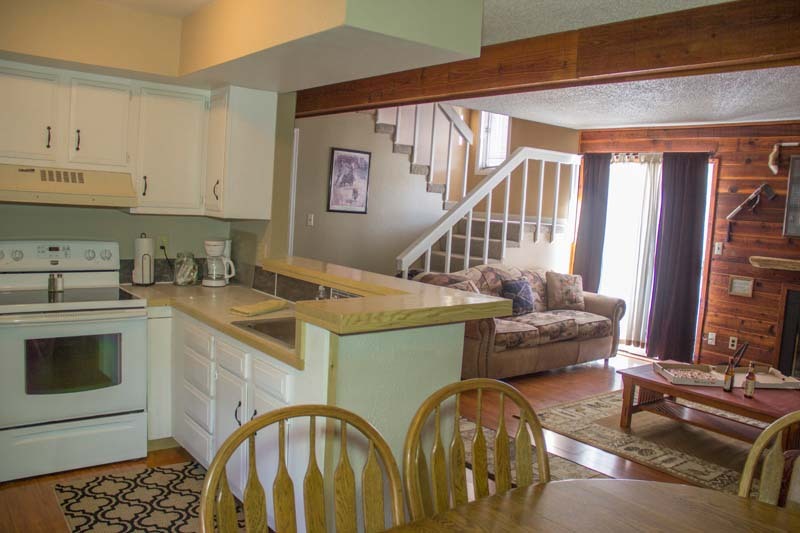 Crow’s nest: (Maximum Occupancy 4) Located south of our ponds overlooking or base area. 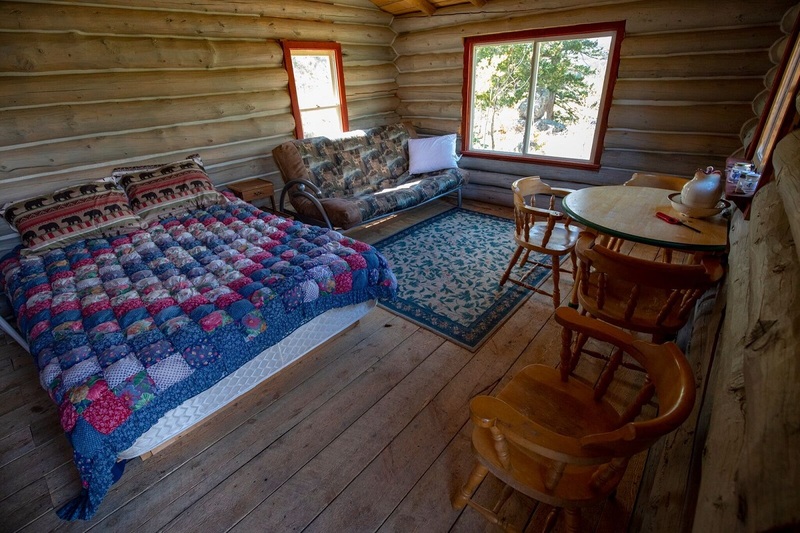 It is a one room cabin with a queen bed and a queen futon, made out of hand peeled logs. 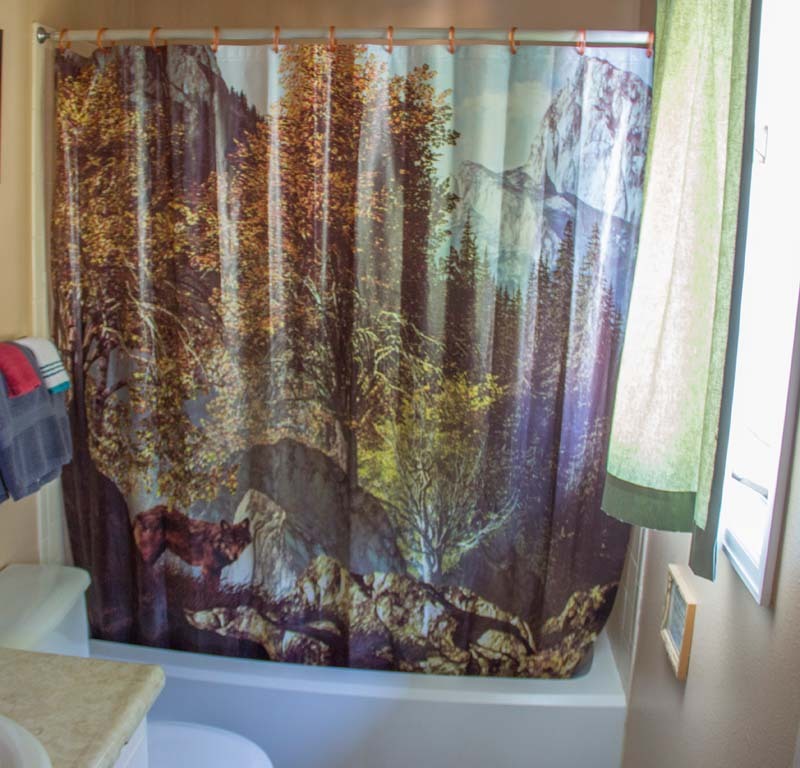 Enjoy complete privacy with this camper cabin, surrounded by your own little forest, yet close to parking, this cabin is true old fashioned Colorado! 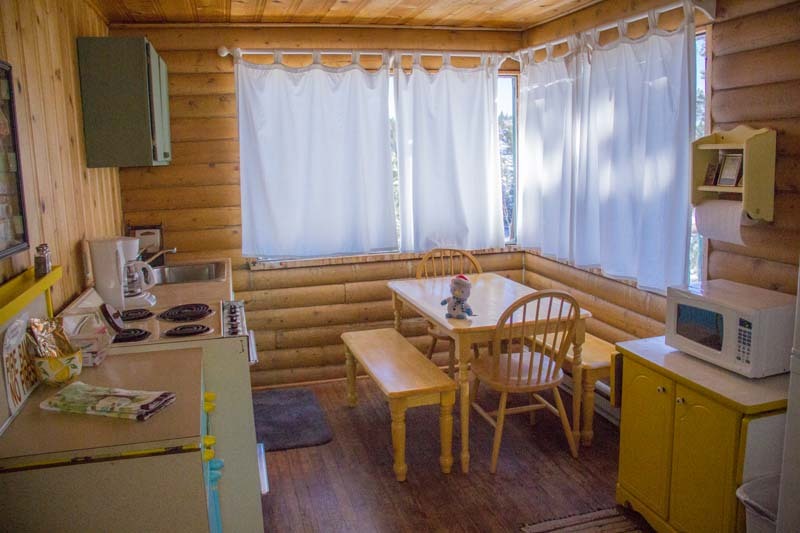 Homestead Cabin: (Maximum Occupancy 12) Constructed from Locally Milled Rough Cut Timber, this Cabin is Centrally located in our Campground. 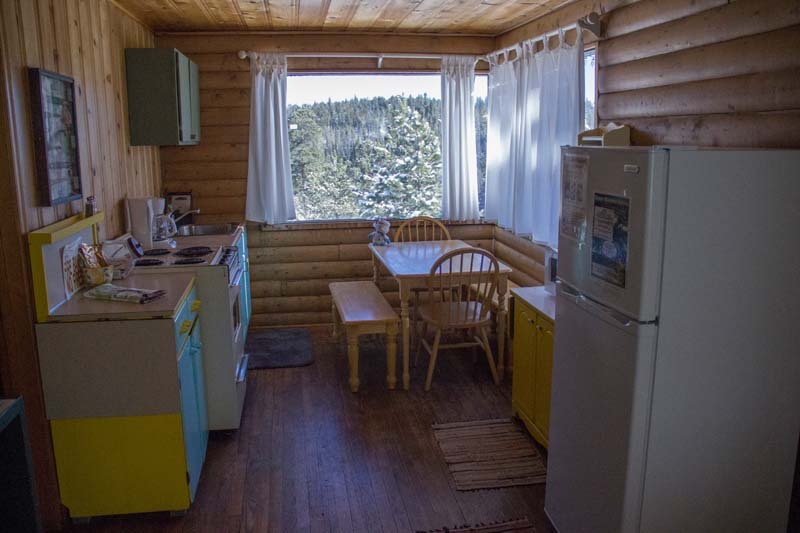 It has Two Sets of Bunk Beds, Tables and Chairs, A Wood Burning Stove and a Wood Burning Cook Stove. 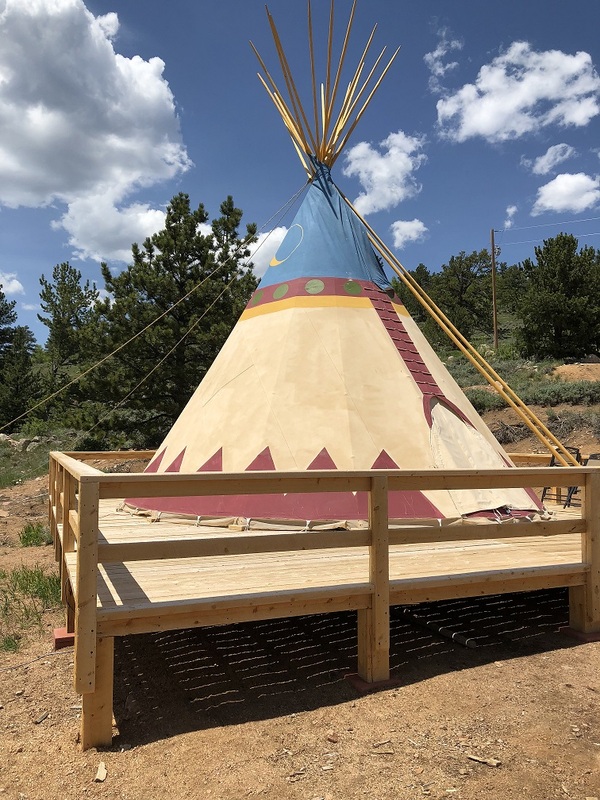 Mama Bear Tipi: (Maximum Occupancy 4) Mama Bear is an authentic Native American tipi made in the Sioux style. 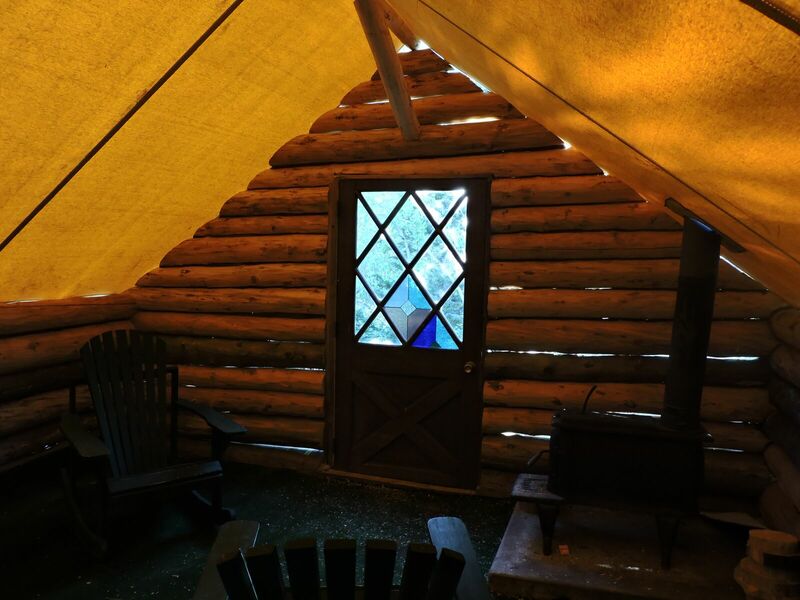 The tipi is 20 feet across and sits on a wooden deck. 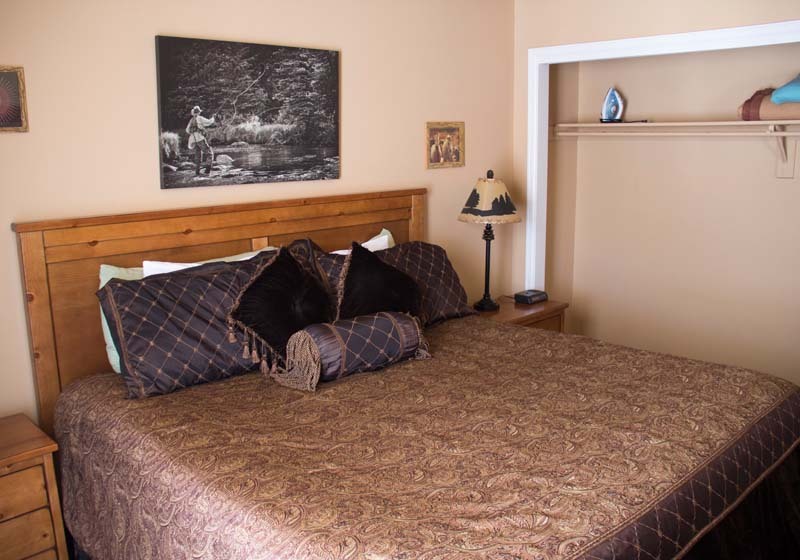 It Is furnished with 1 queen bed and 2 twin beds including all the necessary bedding. 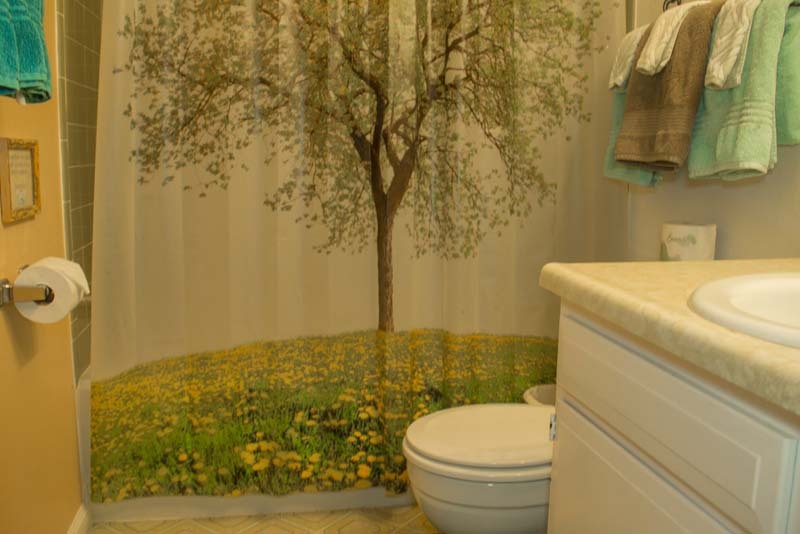 For your added comfort the the floor is carpeted and has area rugs with various southwest patterns. 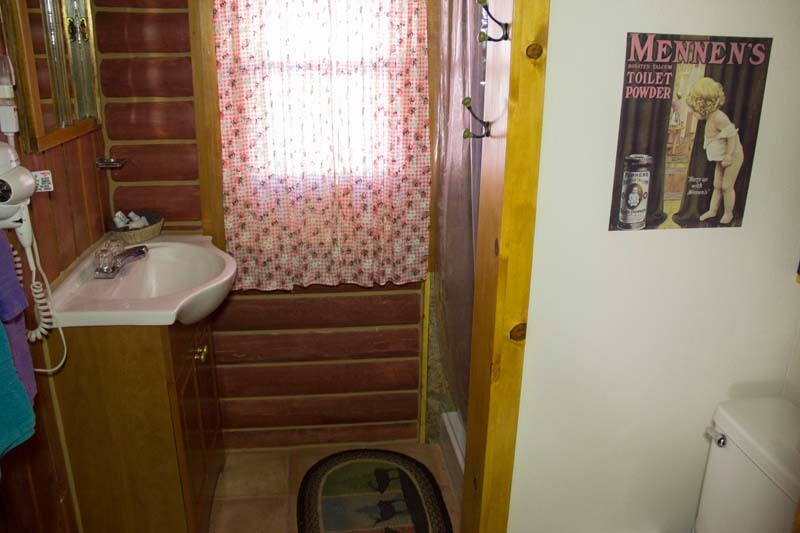 Restrooms are within walking distance. There is a fire-pit located near the tipi. 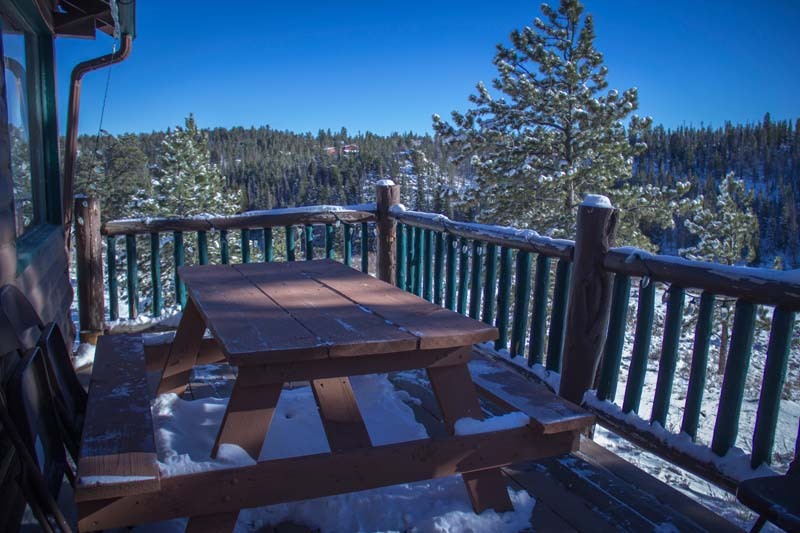 On the deck you will find chairs for relaxing while taking in the natural beauty of the surrounding landscape. Hey everybody it’s that time of year for Mama Bear Tipi to hibernate. She will be taken down and placed in good care for those cold winter months. 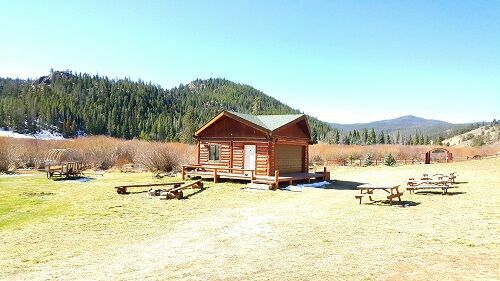 Come spring she will return to her favorite location overlooking the beautiful meadow. We will keep everyone posted when her winter sleep is complete. 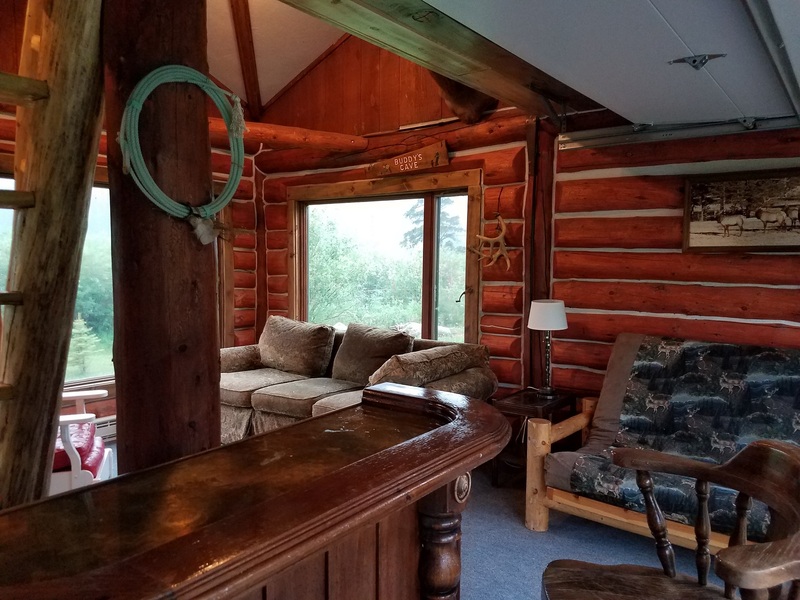 Pearl Creek Cabin: (Maximum Occupancy 4) Located on Private Acreage that is bordered by National Forest on Two Sides this Cabin is Milled from Property Harvested Trees, Hand Peeled Logs with Log Cabin Craftsmanship. 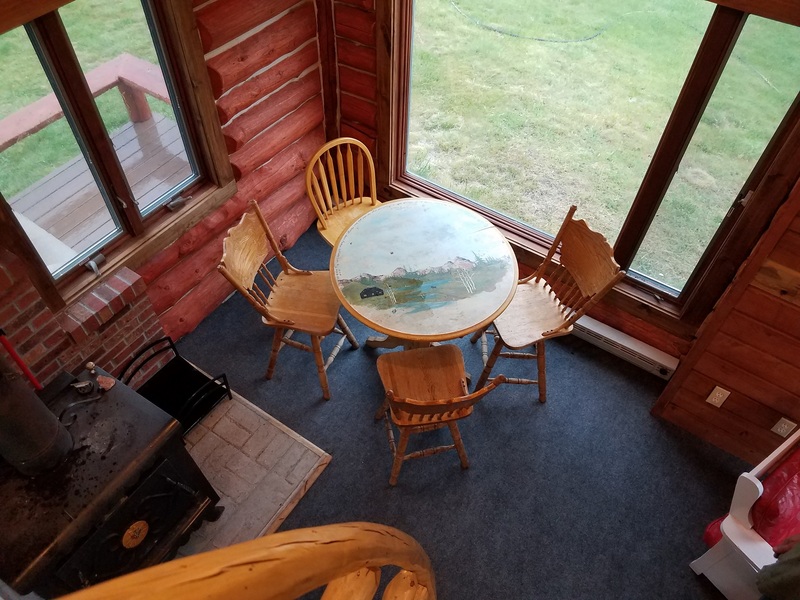 Sand Floor with Carpet Overlay, Wood Burning Cook Stove, Canvas Roof, Two Single Beds, Dining Table and Rocking Chairs. 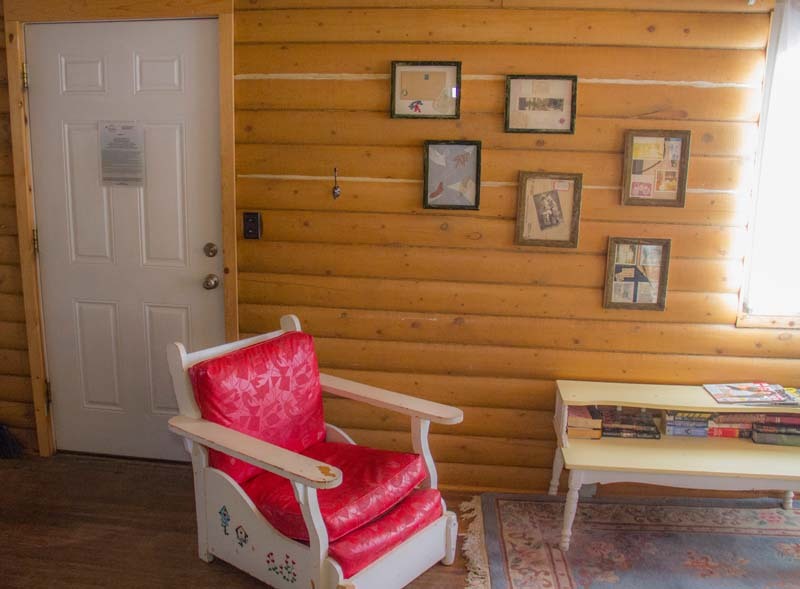 Our Family Cabin and Condominiums require a Three Night Minimum during holiday periods, and a Two Night Minimum stay during all other periods. 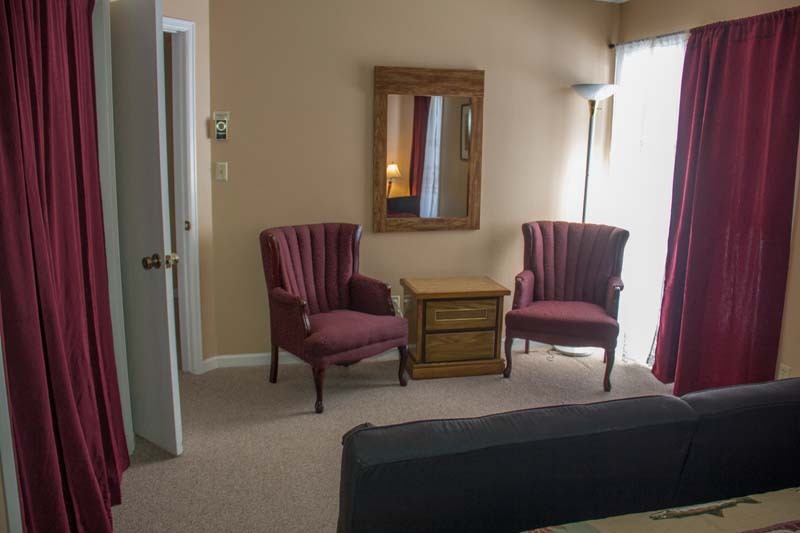 We will allow single night stays periodically and require a 10% surcharge. 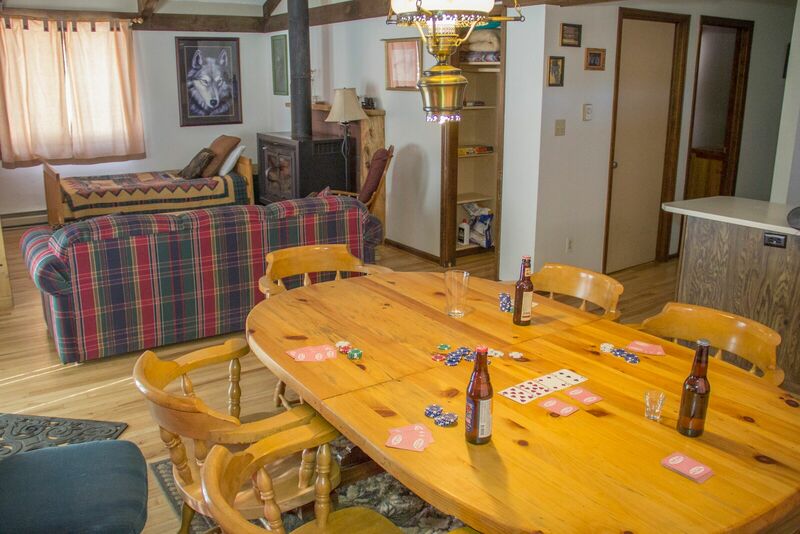 The JP Family Cabin: (Maximum Occupancy 6) Cabin located ½ mile northeast from the Resort Ranch. 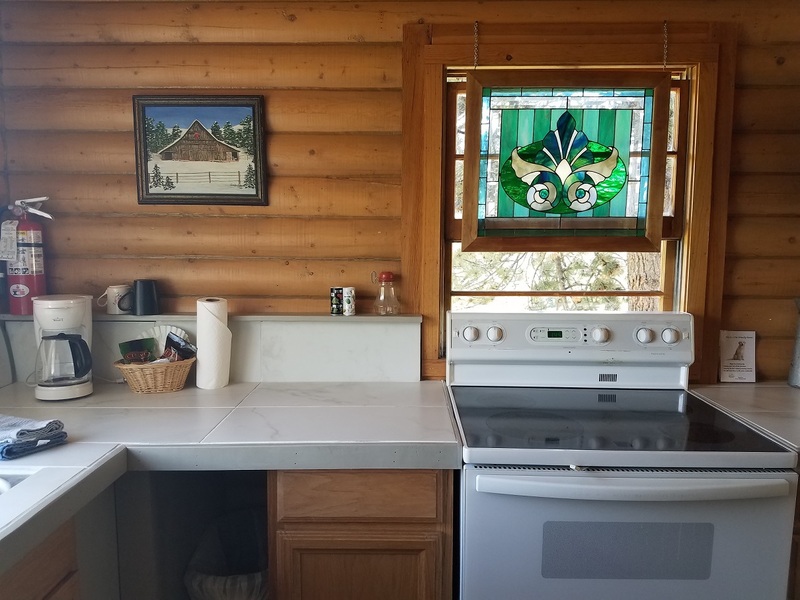 One Bedroom with Queen Sized Bed, Full Bath, Full Kitchen, Living Area with Queen Futon and Two Single Day Beds and flat screen TV, Three Quarter Wrap Around Deck, Wood Burning Stove, Outdoor Fire pit, (Crystal Lakes fire permit required for this cabin for outdoor fire pit). 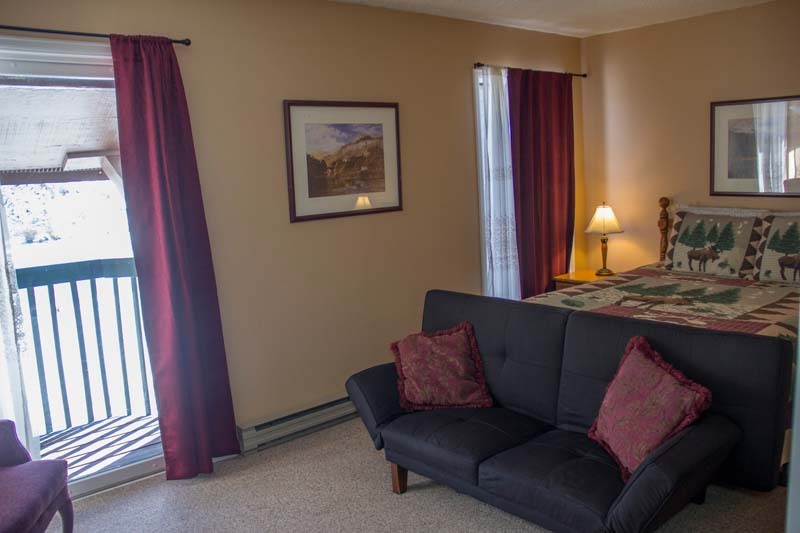 Condo One: (Maximum Occupancy 6) Single level condo. 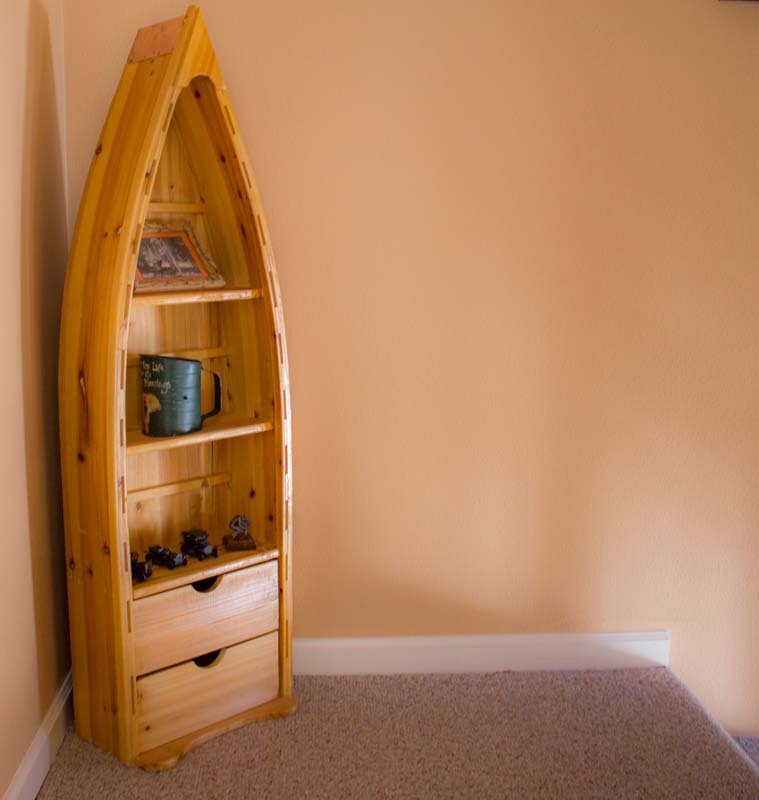 One Bedroom Condo located on the east end of the building. 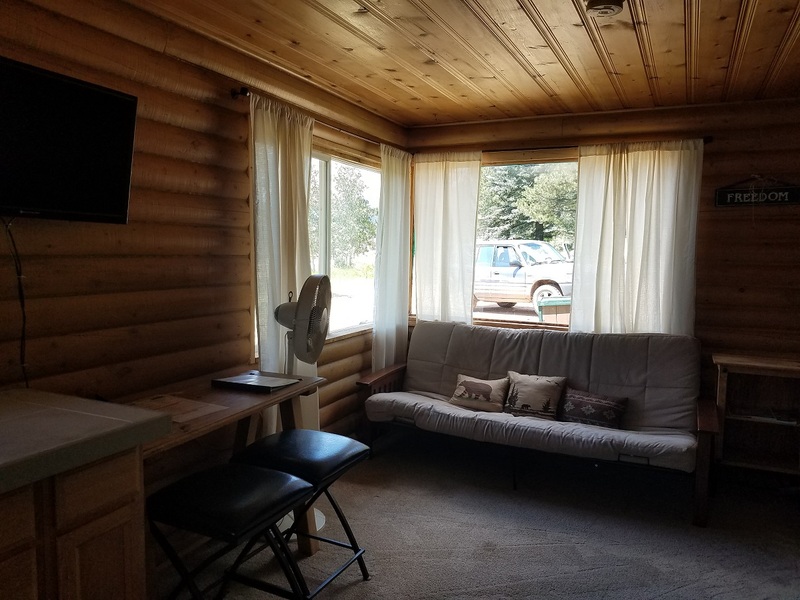 One Queen Bed in the Bedroom, Master Bath, A Second Full Bath in the hall, Full Kitchen, Sunken Living Area with Queen Sofa bed, Dining Area with One Set of Bunk Beds built into a wall cubby, Flat Screen TV, Deck, Wood Burning Fireplace, WIFI. Prices depend on season and day of the week. You can find an overview of our different seasons in the table below. 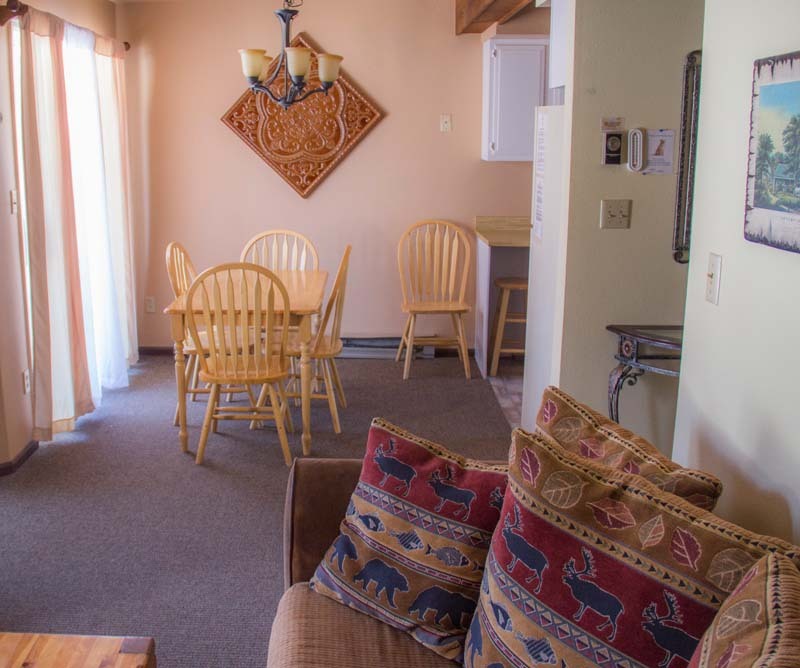 For exact pricing with your date and requirements please check the booking tab with each individual unit or call the Reservation Desk at (970)881-2450. 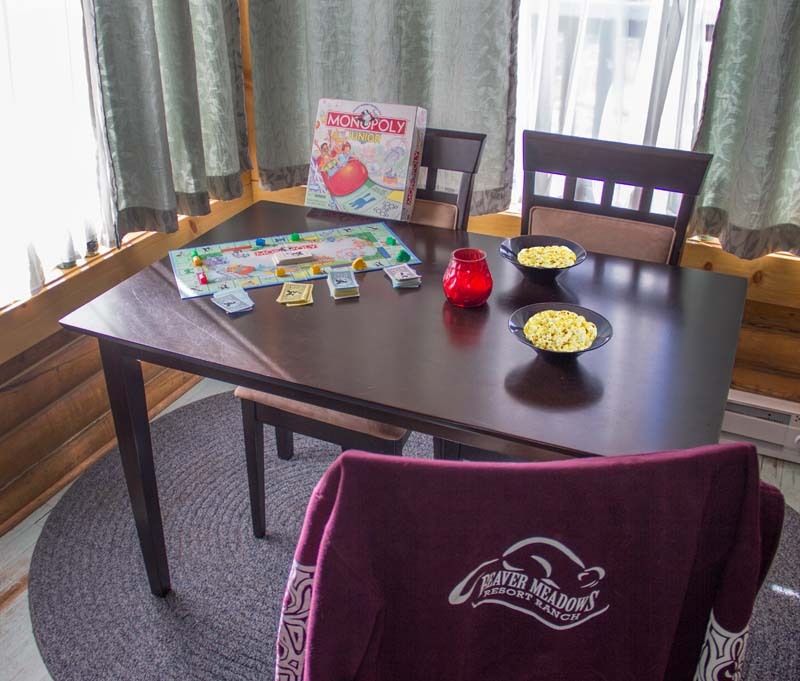 Condos, Cottages and the JP Cabin – 3 night minimum stay over holidays; 2 night minimum otherwise. 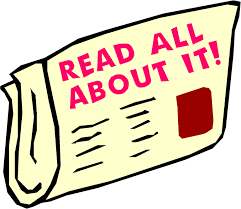 Lodge Rooms – 2 night minimum during peak season and over holidays; no minimum during value season. 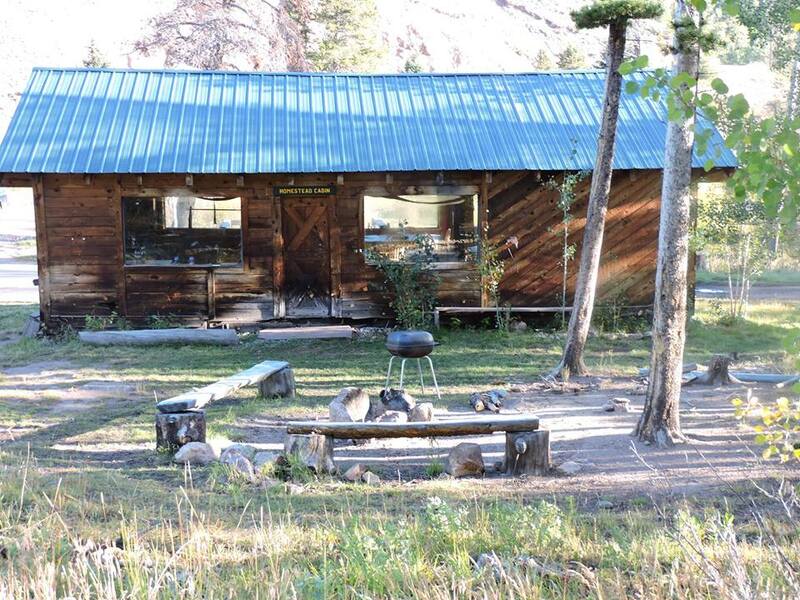 A deposit of 50% of the total lodging unit or campsite cost is required to secure the reservation. 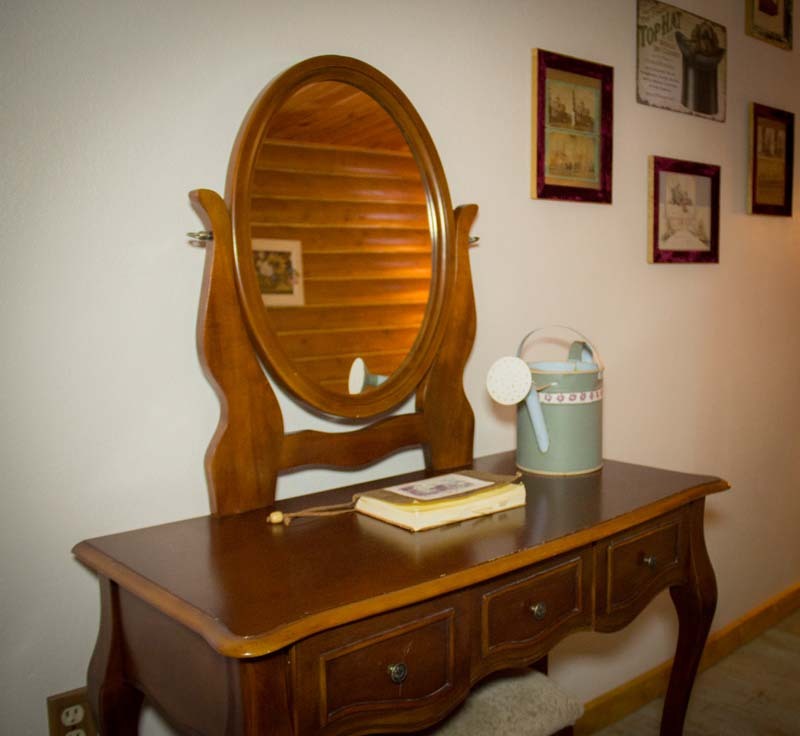 Our units do not have telephones (AT&T and T-Mobile cell phones get the best reception right at the Resort, other cell phones work nearby on higher ground), but there are telephones available in the restaurant and gift shop during normal business hours. 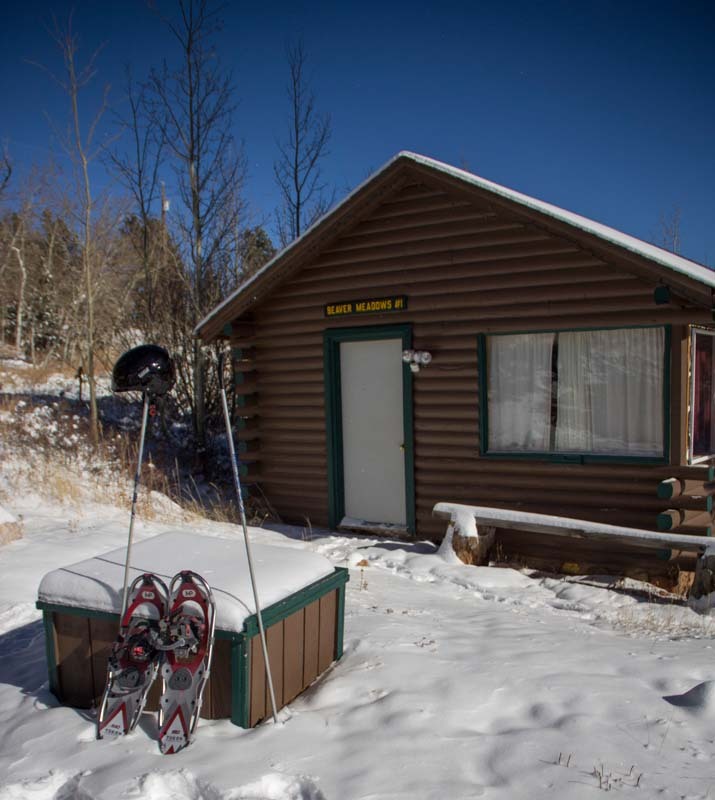 Pets are allowed in our cabins & condos for a fee of $25 per pet, per night. 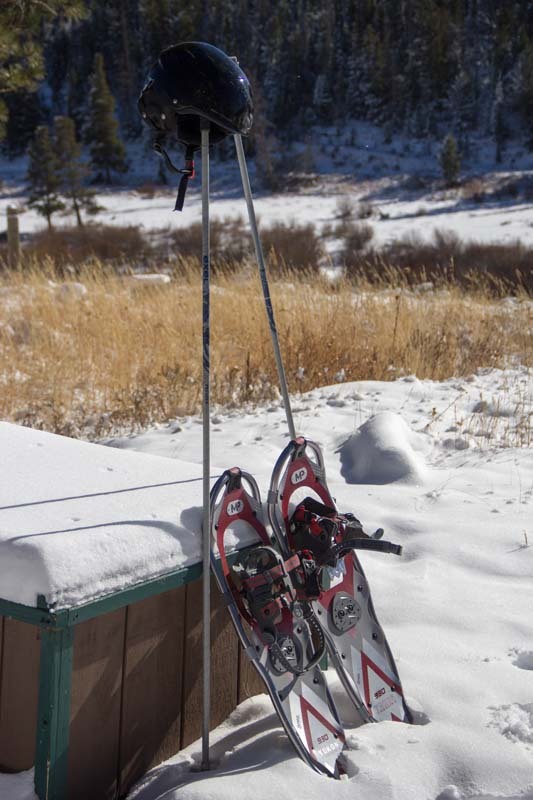 We ask that all pets staying with us be kept on a leash when on our trails or grounds. Please bring a blanket for your pet to sleep on as they are not allowed on the furniture. Clean up after your pet. Never leave your pet in the room unattended. Poorly behaved pets will be asked to leave. All units are designated non-smoking. 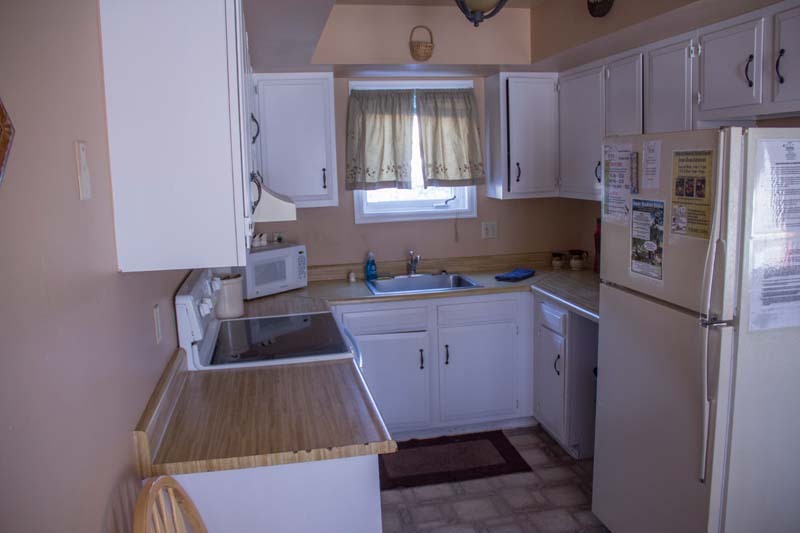 Our units are vacation rentals; maid service is not offered. Please note that our parking areas are either gravel or dirt and access to some units may require climbing stairs or small inclines. We highly recommend that all guests come equipped with suitable hiking shoes and, if arriving after dark, a flashlight.